How is it December? This is crazy. Another month has come and gone and it's time to recap my favorites from November. I really enjoy sharing my finds around the Internet, moments from the months and some fun links that hopefully put a smile on your face. 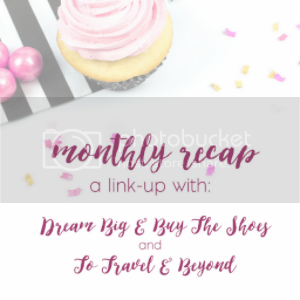 My monthly favorites are always some of my favorite posts to write because I love looking back on the fun that was had and sharing things I've come across during the month. Be sure to join Macy and I and link up to share your favorites, goals, moments and recaps! Favorite DIY: If you don't want to spend the dough on a flocked Christmas Tree, Kristyn is showing you how to do your own and it seems pretty awesome. Favorite Fashion Post: Color Me Courtney is such a great spirited blogger and always makes me smile when I read her posts or am scrolling through Instagram. She shared some fun fall jackets full of color and different styles- and I bet by this time of the year some may even be on sale. Favorite LOL post: I seriously went in to this one like "This is great. I'm going to help myself." I came out cracking UP because Chelsea is awesome. Her tips to have a completely stress free Thanksgiving are the best, if you missed them earlier in the month, then save them for next year. Favorite Party Idea: Anyone know Tara from the fashion blog Jimmy Choos & Tennis Shoes? Well if you do, you know she has amazing taste. What you may not know is, so does her entire family. I follow her Mom and sister's on Instagram, and Rachel (the oldest sister) throws the coolest parties for her kids and the family. I am dying to get an invite someday. Her daughter just turned 13 and had the cutest party theme- a fireside birthday soiree...complete with blanket scarf favors and fur pillows on the chairs. I can't get over the cuteness and can't wait to borrow the idea someday...I think girls of any ages can enjoy this one! Favorite Gift Guide: They're EVERYWHERE, but this one really had a ton of great ideas. Who doesn't love picking up something fun for your BFF?! Caitlin really knows style and cute things, so all of these ideas are worth checking out, and most are under $35! Favorite Recipe: Emily always comes up with some great dishes and this one sounds amazing too. I love a lightened up recipe and this Turkey & Eggplant Lasagna is one of those. If the people in your house don't eat eggplant (like my husband) that just means...more for you! Favorite Purchase: I couldn't wait. You may have seen my Holiday Beauty Wish List but I needed that Nutcracker lipstick....like yesterday. The lip scrub is totally worth it- smells and tastes amazing. Favorite "new to me" Post: Guys, I've read so many posts where people talk about these things called podcasts...and I've never listened to a single one. I vow to change that after some great recommendations from Kathleen. Side note: Kathleen is absolutely hilarious, inspiring and seems downright fun to be around. Her blog- Carrie Bradshaw Lied is one of my favorites to follow and I never get sick of her on Snapchat. Let's be honest, sometimes I just skip through the snaps where people are talking for 8 videos straight...can't take it. But never with her. Check out her Favorite Podcasts of 2016 for some cool podcasts to check out. 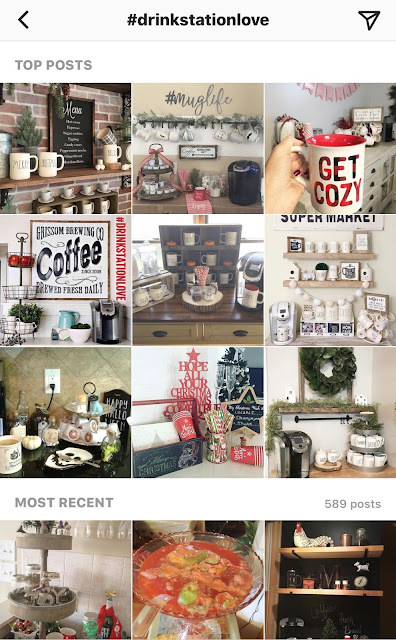 Favorite Instagram Hashtag: When we buy a house I have big HUGE dreams of having a little cubby area in the kitchen to make the most amazing drink nook. Mugs, my Keurig, some hot chocolate in big clear jars and more. So naturally #drinkstationlove is the latest, best and coolest hashtag I found on Instagram and so far I've only lost about 3.5 hours looking through the beauty of people's fun drink areas. Proceed with caution: you will get so lost in the greatness that you may not get work done today. Favorite Moment: Decorating for Christmas. It can take a while to haul all the decorations and get everything just how I want it, but it's such a good feeling to have it all done. I did it early because it seems to fly by quicker each year and work is so busy that I can't imagine doing it after a long work day. I can't believe the next time I hit publish on a Favorites post it will be a new year. I hope you are all soaking in the magic of the season and enjoying every moment. Have a great week! What are some of your favorites from November? Share your monthly recaps, favorites and moments with Macy & I and link up below!